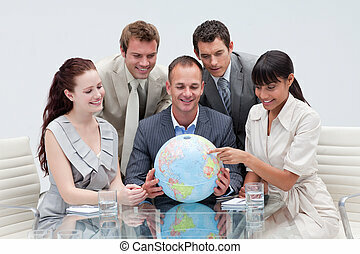 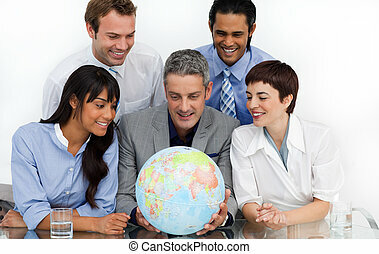 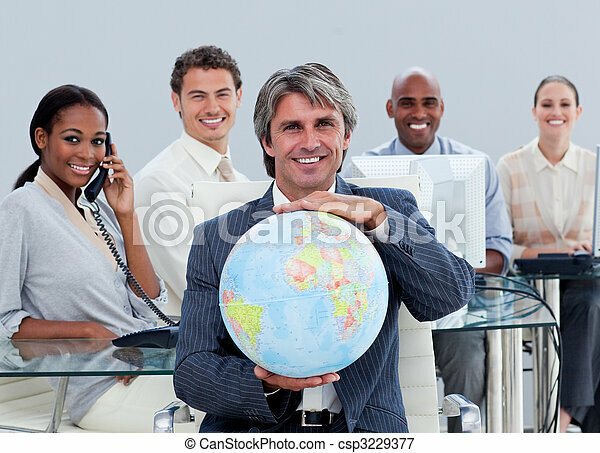 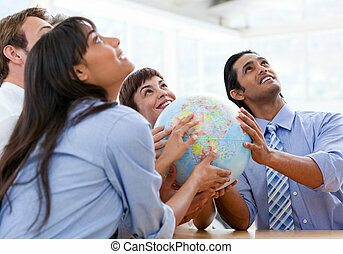 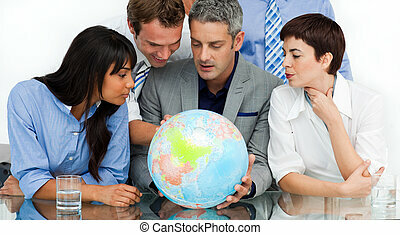 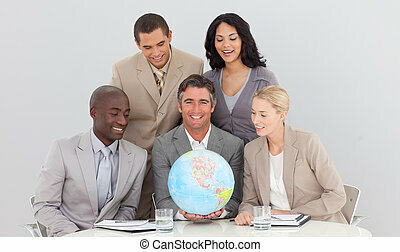 Fortunate business team at work showing a terrestrial globe in the office. 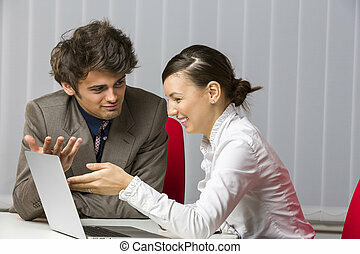 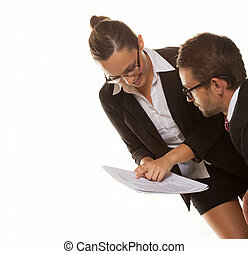 A team of two happy businesspeople sitting at desk and discussing and planning work in the office. 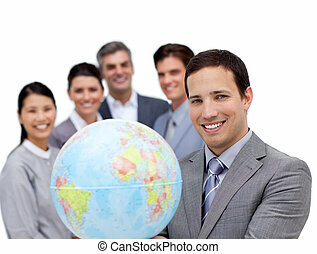 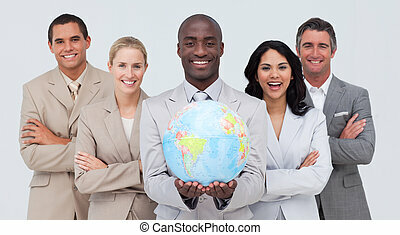 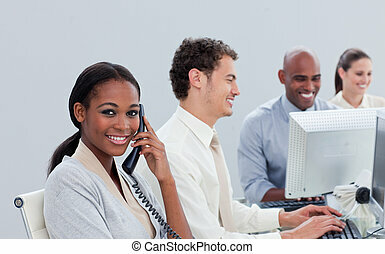 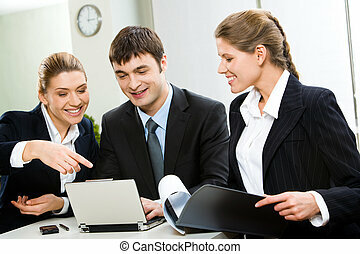 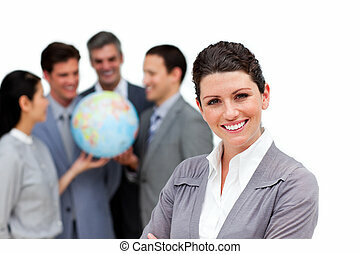 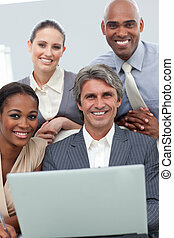 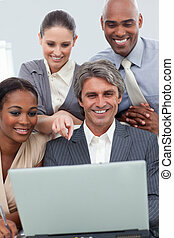 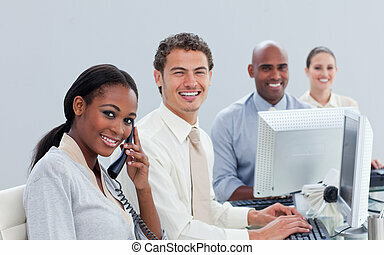 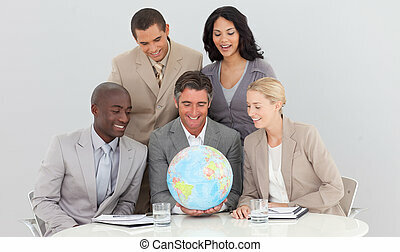 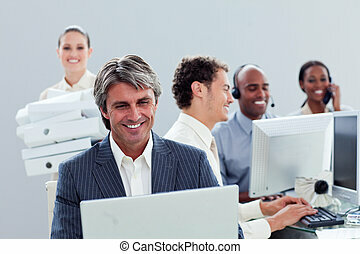 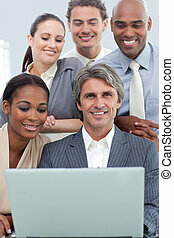 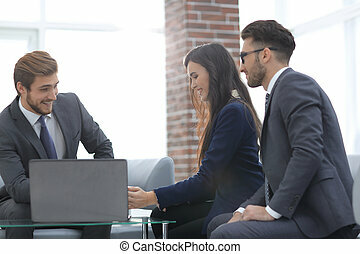 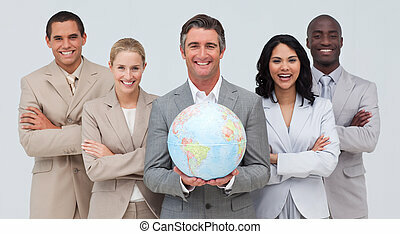 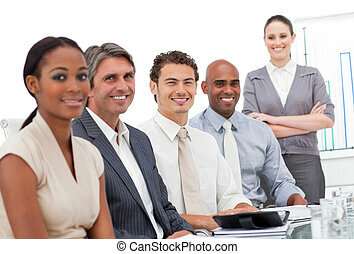 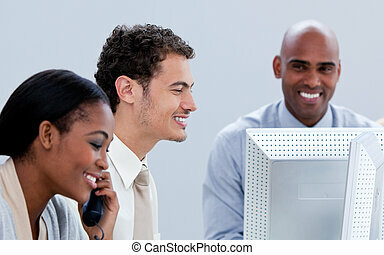 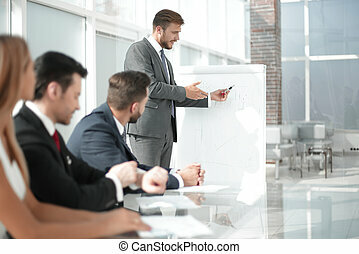 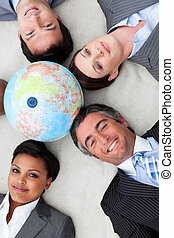 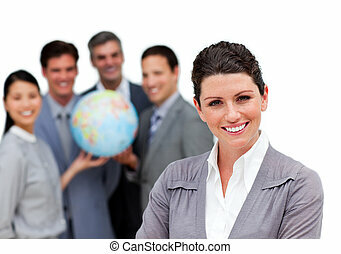 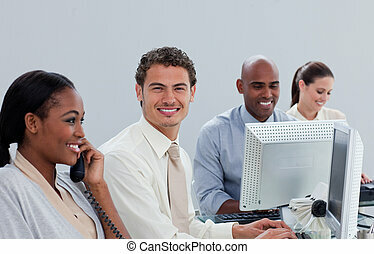 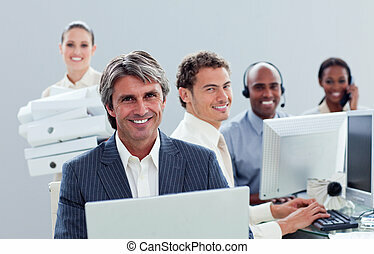 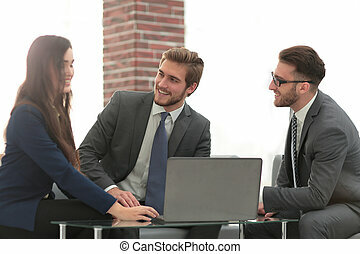 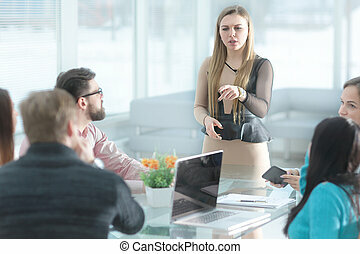 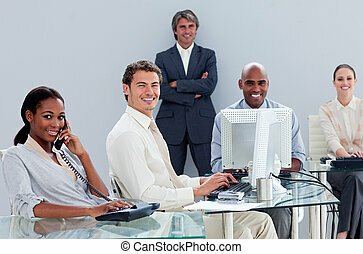 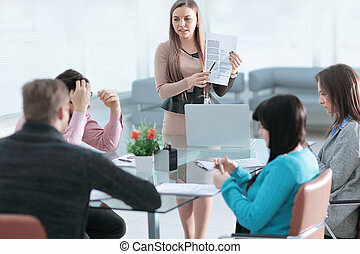 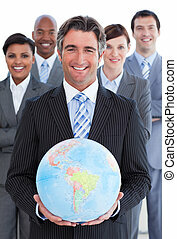 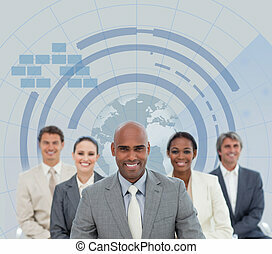 Business people with a positive look and a cheerful smile working at the table. 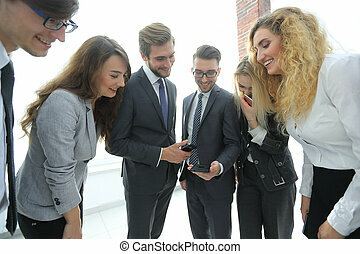 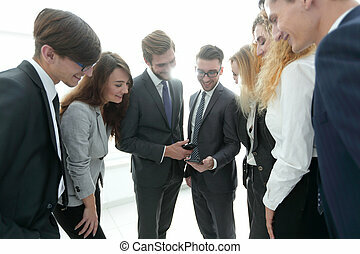 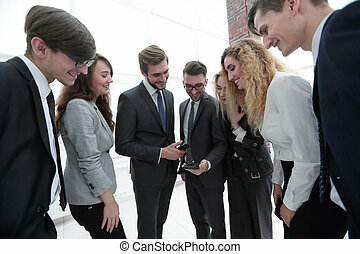 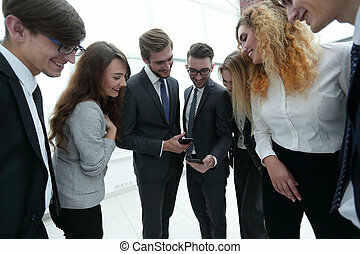 closeup.business team looking at a smartphone screen. 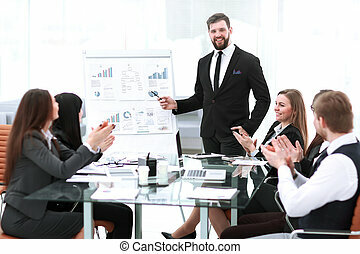 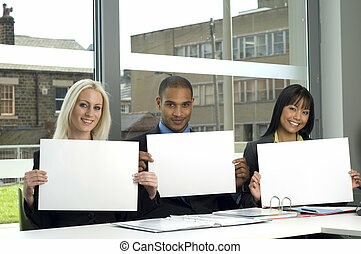 business team applauding the speaker at a business presentation.